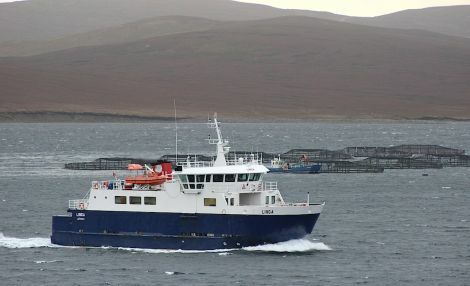 A SENIOR councillor has responded to a letter on the cost of running the inter island ferry service saying the figures quoted were historical and did not have any bearing on the ongoing negotiations for fair ferry funding with the Scottish Government. William Polson, from Whalsay, suggested in a letter to Shetland News (Does the government already provide fair ferry funding? SN, 08/02/2019) that the extra £5 million the Scottish Government is paying for the current financial year and is likely to also pay for 2019/20 is already more than enough to cover the SIC’s deficit minus harbour fees. But chairman of the environment and transportation committee, Ryan Thomson, said that this was not the case. “Our discussions with Transport Scotland relate to figures based on the 2019/20 revenue budget, not the 2015/16 running costs, therefore the figures in the letter are historical in nature and a misrepresentation of the current position,” he said. He added that any funds raised in harbour fees would go toward the cost of upgrading and maintaining terminal infrastructure. “Indeed we are about to undertake significant work on the terminals in the near future which would not be possible without the berthing charges by the ferry service. Does the government already provide fair ferry funding?